Nearly all of Criminal Minds' unsubs are horrifying, but this is the cream of the crop in Paget Brewster's eyes. Are You Related To Paget Brewster? Paget Brewster has not been shy when talking about the problems that led to her eventual exit from Criminal Minds several years ago. Still, the actress is making a big return to Criminal Minds this week. Criminal Minds has had some extremely hectic months going on between Season 11 and Season 12, but it all led to the permanent return of Emily Prentiss. Check her out! ‘Criminal Minds’ Season 12 Spoilers: Did Kirsten Vangness Just Confirm That Paget Brewster’s Prentiss Will Replace Hotch As BAU Leader? “Criminal Minds” is undergoing a series of transformations since last season. In the CBS crime series’ Season 12, Thomas Gibson got fired due to an on-set altercation with writer and producer, Virgil Williams. Paget Brewster is returning to the program as a series regular. The show has been a strong performer for network CBS. Paget Brewster's brief return to "Criminal Minds" will become an extended stay. ‘Criminal Minds’ Replaces Thomas Gibson By Promoting Paget Brewster To Series Regular, Will Prentiss Replace Hotch As BAU Leader? “Criminal Minds” continues to undergo many changes off-screen. The CBS crime drama is changing its cast in Season 12 following the abrupt firing of Thomas Gibson after he had an on-set altercation with the show’s writer-producer, Virgil Williams, and the exit of Shemar Moore in Season 11. “Criminal Minds” has undergone many casting shakeups recently. In Season 11, Shemar Moore departed the CBS series. He was replaced by “CSI: Miami” actor Adam Rodriguez in Season 12. Additionally, Paget Brewster returned as a recurring cast member. She will play Interpol Agent Emily Prentiss. "Criminal Minds" fans are rejoicing. Big favorite Paget Brewster will reprise her role as FBI Supervisory Special Agent Emily Prentiss for the 12th season of the hit CBS drama. 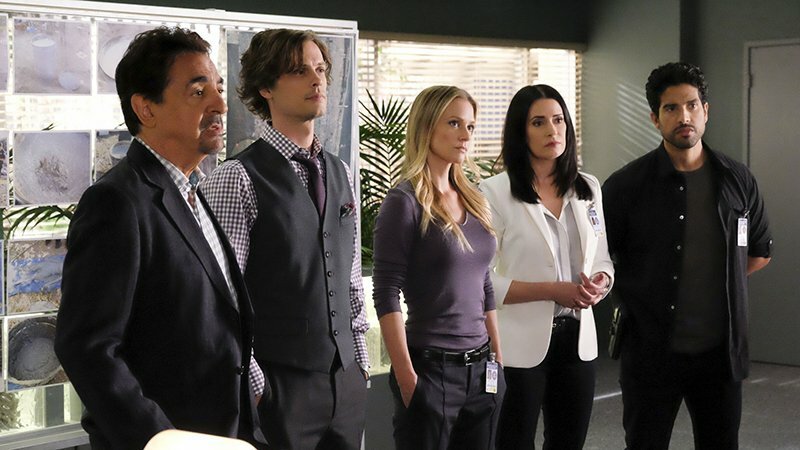 This week's episode of Criminal Minds will feature the return of Paget Brewster in a guest spot as fan favorite Emily Prentiss, and it sounds like the character will play a big role in helping the BAU react to last week's Derek-fueled episode.